Forage radish is an annual, broadleaf member of the brassica family. Unlike the radishes grown in vegetable gardens, forage radishes produce very large roots and abundant leaf mass. They’re also known as “tillage radish” thanks to their large roots that “till” deep into the ground, naturally loosening and aerating the soil. 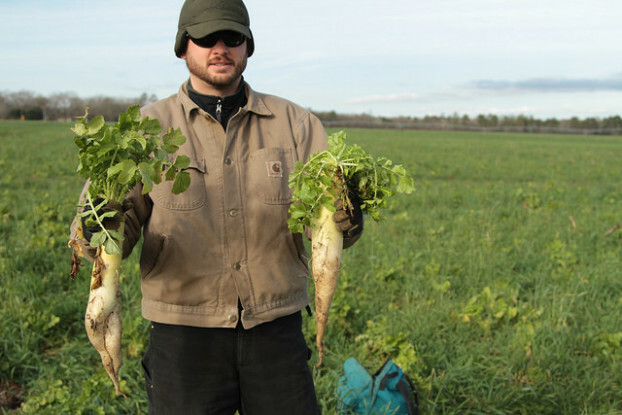 Forage radishes provide excellent forage for wildlife. They also act as a cover crop and green manure.